We packed a lot into our weekend break to Manchester last month. After a trip to LEGOLAND Discovery and a stay in the luxury Principal Hotel on Saturday, I was surprised that we were up bright and early on Sunday morning and keen to visit the Museum of Science and Industry. The museum was a 15-minute walk from our hotel and is pretty easy to get to from most places in the city. 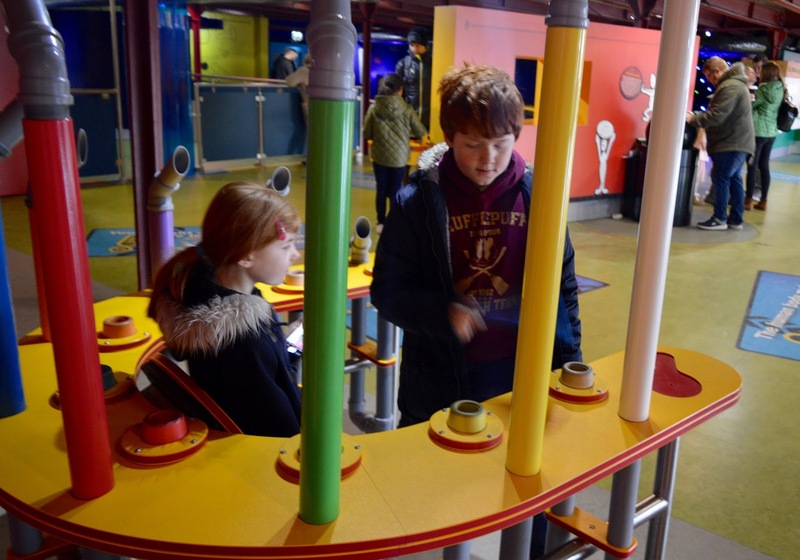 We arrived just in time for opening and after storing our luggage in the basement lockers (remember a £2 coin as there are no change facilities and the on-site shops did not have any change), we were keen to explore all that the Museum of Science and Industry had to offer. The museum is free to visit (with donation boxes at reception and around the museum) and although I had visited the museum for a conference a few years ago, this was our first visit as a family and we were immediately impressed. 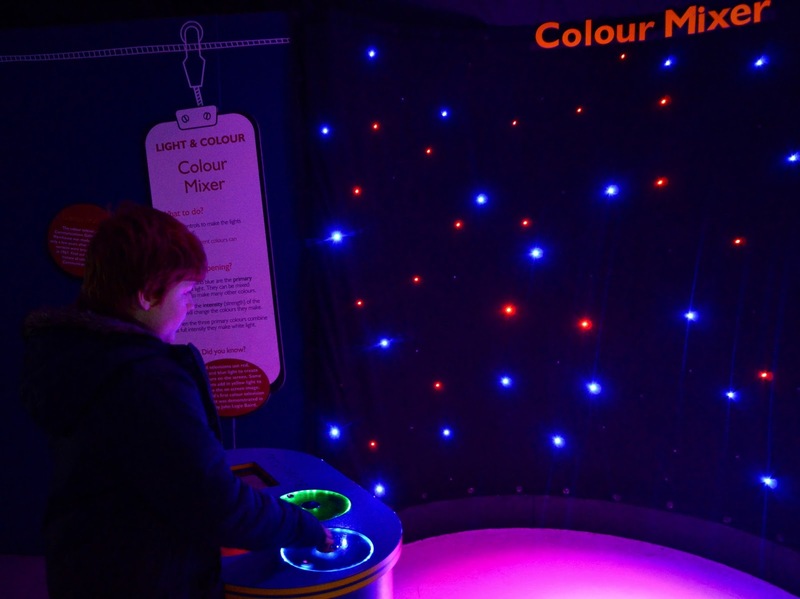 I'd put the museum en-par with Newcastle's Life Science centre (although with less interaction and 'shows') and think it's perfect for all ages. I can't believe it's free to visit and would happily pay £25+ per family visit if required. 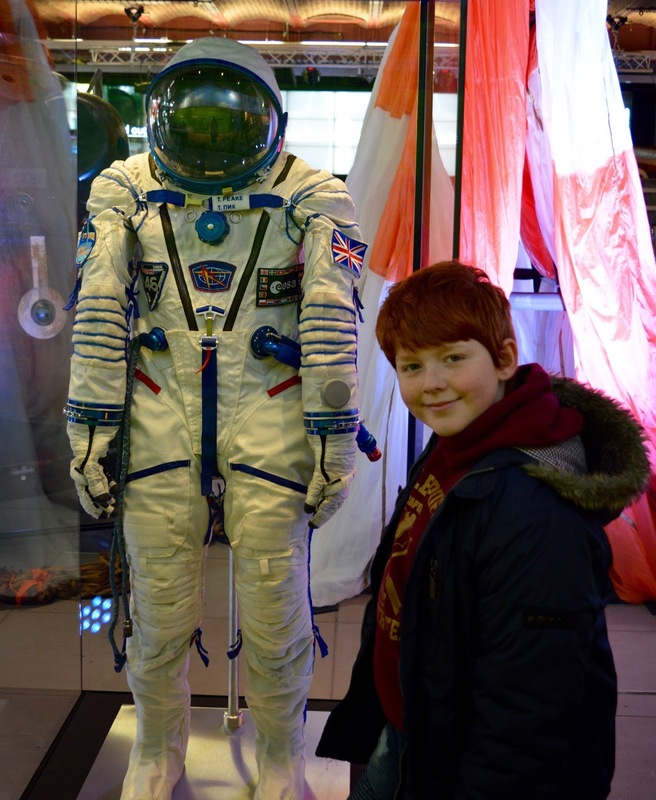 Our main reason for visiting was to see Tim Peake's Spacecraft. I really am a strong believer that when we get the chance to see a piece of history like this in the flesh, we should grasp it with both hands. 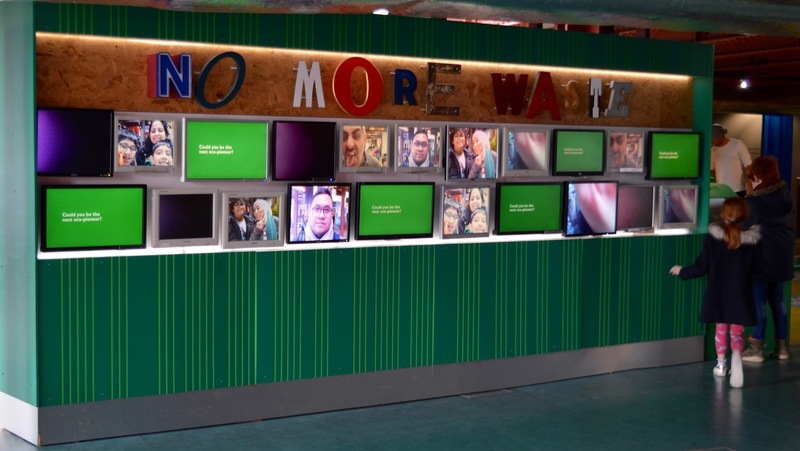 This is a temporary exhibition running until 13 May. 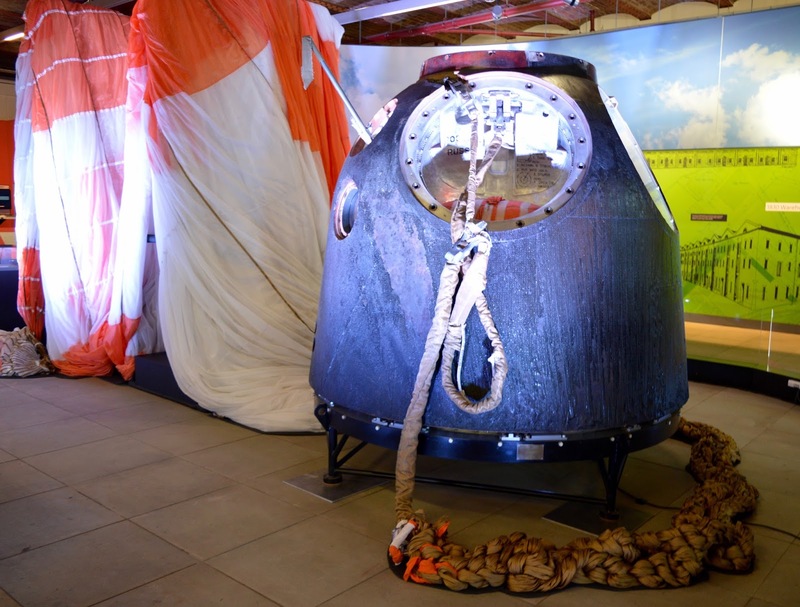 After this, the spacecraft will be touring the country and visiting various Science Museums around the UK including Locomotion in Shildon and the National Rail Museum in York (see here for details and dates). 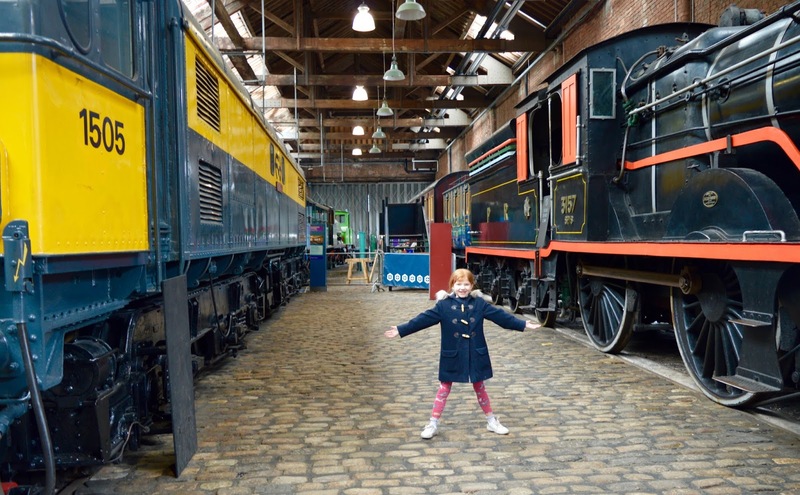 Manchester is just 2.5 hours from Newcastle by train and a trip to Museum of Science and Industry is perfect for Easter when the weather can be very changeable! We paid £4.80 for an Uber from the museum to Picadilly train station but you can walk it in around 30 minutes. Seeing something in the flesh really does allow you to appreciate the size and scale of an object when compared with watching something on TV or looking at a picture. Tim Peake's spacesuit was tiny compared to what I imagined and the parachute he used to make his final descent to Earth is HUGE - in fact it's the size of two tennis courts. You are able to get pretty close to the spacecraft too and it really looks like something out of a Sci-fi movie. It was difficult for me to get my head around the fact that we were looking at a real spacecraft. You can even see the scorch marks from when it entered our atmosphere. There's loads of info around the exhibits and a video to watch featuring Tim Peake landing on Earth and being removed from the spacecraft. I found it all truly fascinating as did the kids. We spent ages just walking around, pointing various aspects of the space mission out to each other and sharing our thoughts around the future of space travel. It was really thought-provoking for all ages. 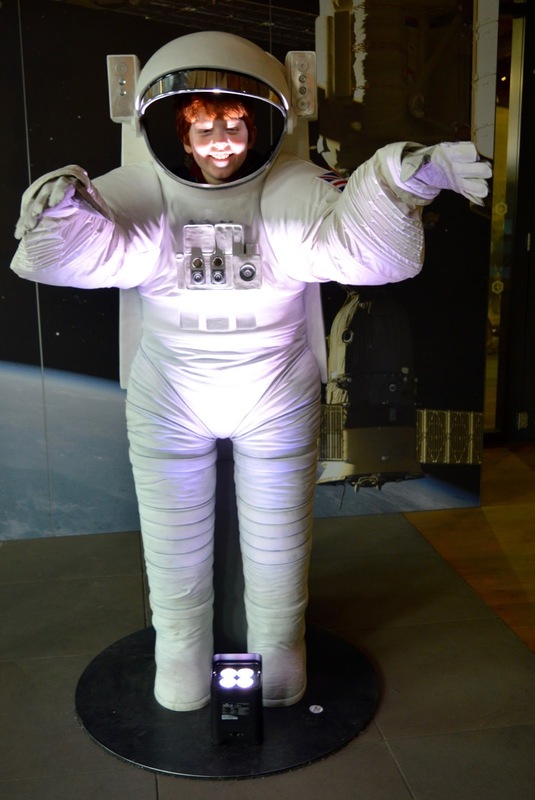 Of course I couldn't resist a spacecraft selfie! When else do you get this opportunity? 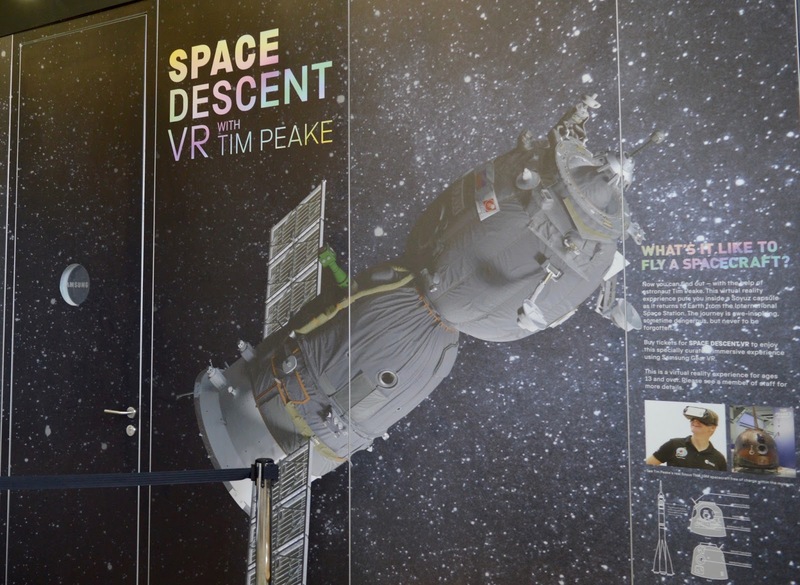 The theme of space continues along the ground floor with the chace for you to try on your own spacesuit (fab photo op) and there's a fantastic VR opportunity (an additional £6) where you can join Tim Peake in the capsule and experience his descent to Earth using state of the art Samsung VR equipment. We were a little bit gutted that this is only available to ages 13+ as I know Harry and Heidi would have loved to have tried this. I'm not sure of the health and safety aspect but they've tried VR experiences a couple of times before and absolutely love it. After trying a VR experience where you walk along the rooftops of New York, I know I'd probably not go for this experience myself and I think Jack wouldn't be a fan either but I wish Steve, Harry and Heidi could have had the opportunity. If your kids are like mine and adore VR, I'd advise explaining to them that they're unable to try it due to their age before you visit rather than letting them face disappointment when they see it. 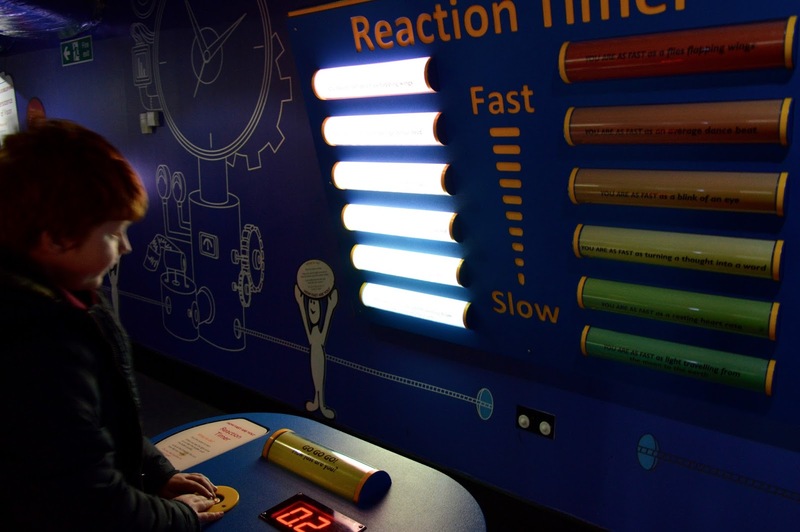 The first floor of the museum is mostly dedicated to lots of hands-on fun. We didn't have Jack with us on this occasion so really made the most of our time here and completed every single experiment on offer. Harry and Heidi absolutely loved it. There's also a restaurant on this floor should you need a bite to eat. We tested our reaction times, created our own tornados, played with light and sound effects, made music, mixed colours, played visual tricks, completed puzzles, learned about recycling and so much more. We spent a good hour and a half up here and could have stayed longer. Everything was in really good working order and considering we visited the museum on Tim Peake's opening weekend, it wasn't too crowded either. It wouldn't be a day out if at least one child didn't have a meltdown and today it was Harry's turn. 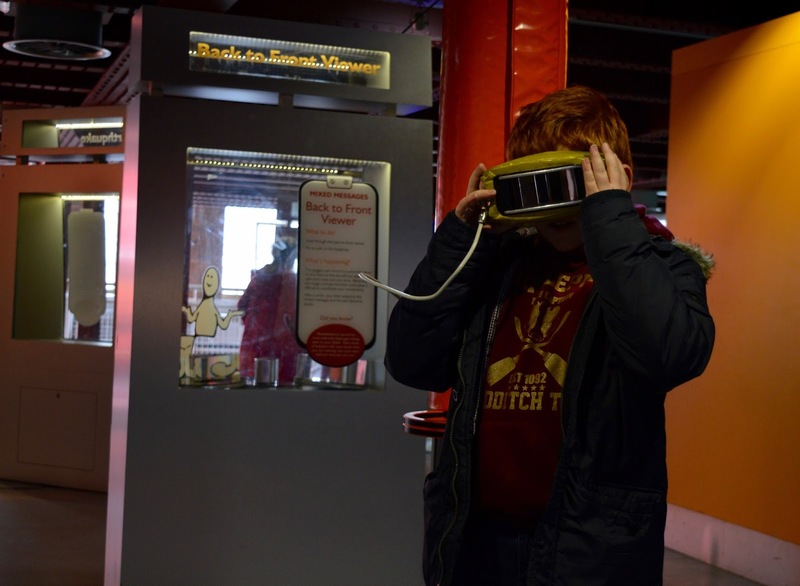 Harry really wanted to visit the Robots exhibition that was available to visit on the first floor (running until 15 April). He loves anything to do with technology and science and I know he'd really enjoy this. My issue is, this exhibition is a chargeable exhibition (it would have been £26 for us to visit) and is actually moving to Newcastle's Life Centre in May. I'd much rather visit the exhibition in our local city (sorry Manchester) and did not want to pay £50+ and see it twice. Harry was not amused and could not see my reasoning so spent the rest of the museum visit sulking and crying. Dramatic much! With Harry's mood on the decline, we quickly crossed over to the Power Hall and admired the different engine types before it was time for us to grab a coffee from the museum cafe and then catch our train home. 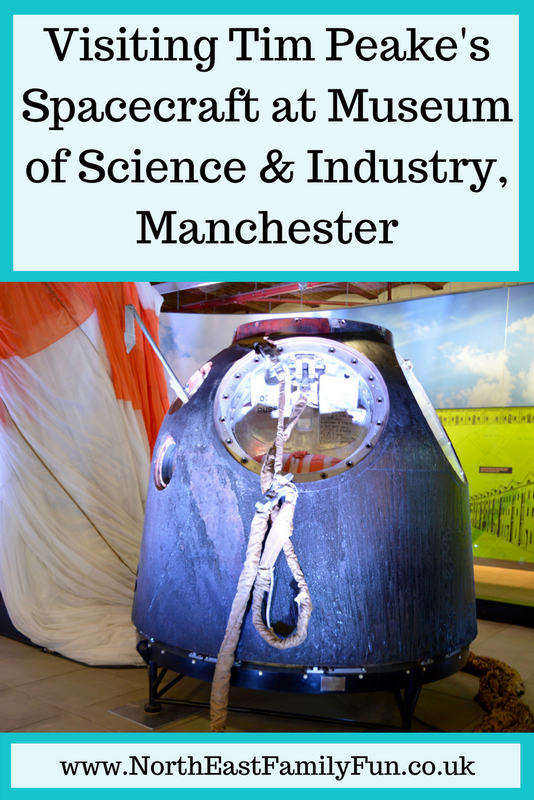 We spent over 3 hours at the Museum of Science and Industry and this could have easily stretched to a full day if we included lunch, watched one of the demonstrations and talks available throughout the day and explored the rest of the museum too. It's a place I'd definitely return to, even without the spacecraft and well worth the trip to Manchester. 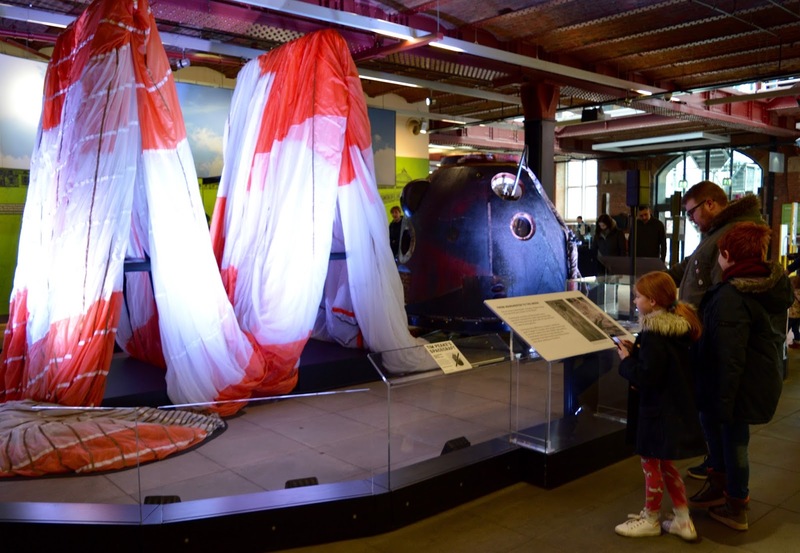 You can visit Tim Peake's Spacecraft at Museum of Science and Industry, Manchester until 13 May. The exhibition and museum are FREE to visit and open daily from 10am - 5pm. Find out more via the Museum of Science and Industry website here. Nevermind the kids, I'd like to visit this exhibition! My 7yo (and me!) 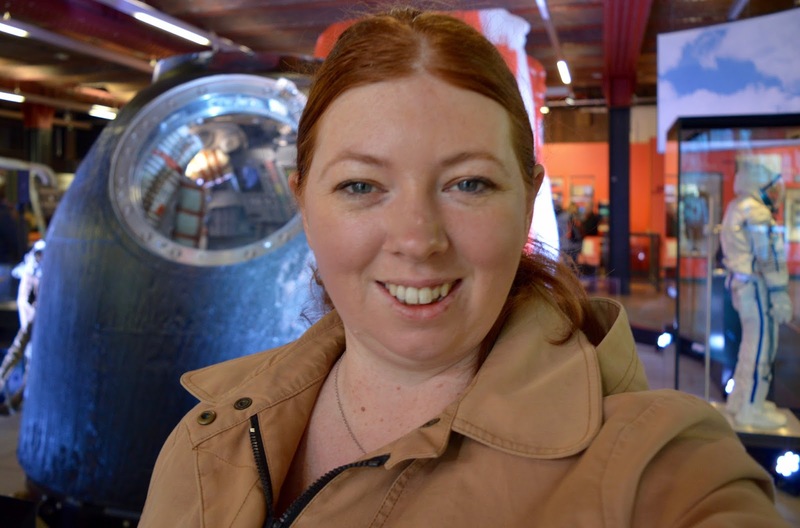 was fascinated by the Tim Peake mission when it was happening - I'm sure she'd love to see his actually spacecraft! Manchester isn't too far for us, relatively speaking, but we hardly ever go. 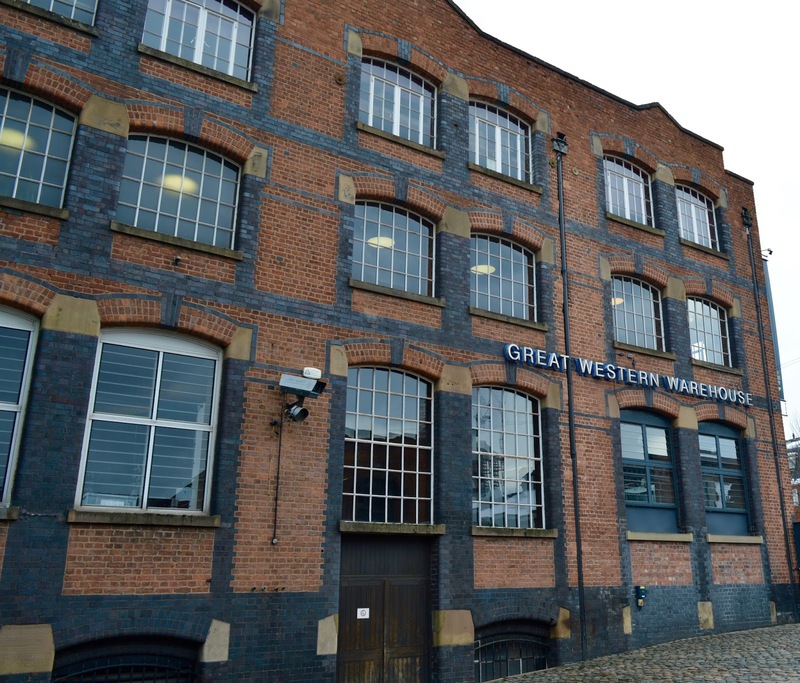 However this museum sounds right up our street so I think I'll be adding it to the to-do list! Thanks for the recommendation.